First up is a great new Tech house track by Andre Lesu. Lightly flavoured is exactly that.. Its perfectly blended between tech house and techno for that beginning of the night groove. Great. 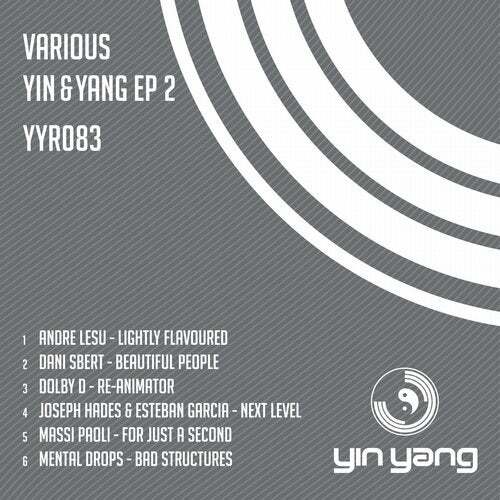 Dani Sbert - Beautiful People has a great tough edge and is a great budding new style techno track that is sure to be a hit with some of the Yin Yang crew. Dolby D has been around for a while, but this is his first venture on Yin Yang. Re-Animator is one of his best tracks. It chugs and grooves and builds in all the right places.. personal favourite of mine. New to Yin Yang is Joseph Hades and Esteban Garcia - Next Level is just that.. Great use of techno vocal, this track keep building. Its definitely Yin Yang style! Last up is new man to Yin Yang with a delight quirky techno track called Bad Structures..